Eating to thrive – make your body sing! Gluten Free. Dairy Free. Meat Free. Caffeine Free. Sugar Free. Fat Free. Salt Free. Grain Free. So many ‘diets’ to choose from these days. Paleo with a touch of Fructose free? Vegan with a touch of Fat free? Sugar free with a side of alcohol plus weekly fasting? Which combination is the ultimate health giver? In the 14 years since I graduated with my Bachelor of Health Science in Naturopathy, diet fads have come and gone, like tides in the ocean. Scientific research has supported notions of some dietary approaches and debunked others. Large industries have paid to have research sway in their direction to continue a profitable business. Companies have failed to reveal their processes and ingredients to keep sales up and inside knowledge down. The truth has been hard to come by. The food industry has become an enormous, booming corporate affair, leaving society confused, overwhelmed and more malnourished than ever before. My feeling is, we have over complicated every aspect of our self-nourishment. The time has well and truly come to re-establish a healthy and enjoyable relationship with food, fueled from empowerment and unbiased education. Susan Levin, is a director of nutrition education for the Physicians Committee, and conducts clinical research studies, publishing dietary reviews about the connection between diet and health. In particular, she advocates plant based eating. “If you could bottle up a plant-based prescription, it would become a blockbuster drug overnight. This way of eating creates an efficient energy source not just for the planet, but for our bodies. She raises a very good point. So, without factoring in, personal allergies, malabsorption’s, intolerance’s or carnivore Vs vegetarian choices, let us simplify our eating, into two categories. None of what I am about to share with you will surprise you. The reason being, it is simple. We often feel complexity and thorough research is what provides sound advice…. However, it is my belief that simplicity is the key and honouring yourself enough to dedicate time and commitment is the answer. *A) What we select to put into our gorgeous mouths, to be absorbed by our superb bodies is a choice. A choice which is a privilege and an empowering indication of the freedom of being human in this day and age. We have an abundance of choice. As consumers and buyers – our power in influencing the way in which the planet and our health is headed, is enormous. Sadly, most modern-day inhabitants on the earth, are choosing convenience over quality. Numbers over Nutrients. Colours, additives and flavours over simplistic sweetness of nature. I believe, what we choose to put into our being, is an accurate representation of how much we value and respect, not only ourselves, but the planet we call home. Have we become so lazy that we don’t care for the tonnes and tonnes of rubbish mounting up on our stunning sphere? Would we rather buy a ready made, nutritionally empty, chemically laden meal, wrapped in plastic, with a ten year best before date – simply because it’s all too hard? Then turn a blind eye to the effects this ‘meal’ has on our own cells, organs and immunity? So, what is a making a clever choice? In fact, when it comes to choices – most foods in a packet really are questionable. Not only have they had to be ‘modified’ on some level to allow them a shelf life, but they are so far removed from their natural source that most vitality and nutrition have evaporated. In effect – the food that you then put into your buzzing, vibrating, vibrant body, is dull…lifeless and void of life affirming nourishment. Eating seasonally – waiting patiently for fruits and vegetables to honour their natural rhythms and tailoring your ‘meal plan’ to this ancient and wise way of eating. Eating Locally – get to know your local farmers, support your local community, prevent food miles and become carbon friendly. Simply by eating what thrives in your native habitat. Eat all the colours of the rainbow – take the guess work out of nutrition and eat every vibrant colour you can find in vegetable and fruit form. Buy only whole foods – ensure that your food choices are not tampered with. Avoid Chemicals – the long-term effect of consuming laboratory compounds is so detrimental. Not only for your liver, your kidneys and your blood, but also for the planet. Learn to cook from scratch – true, it can be more time consuming, but the joy and intention that you can then infuse into your meal is priceless. Treat your food like your friends, cherish it, bless it and honour it – for it is what keeps you alive. *B) Where our food is grown and under what conditions, is paramount not only to its nutritional content but also its energetic vibration. As I have shared with many children, when reading my published picture story book – The Incredible Edible Garden, the quality of our food begins with the environment in which it is grown. Taking the modest tomato, for example. If the tomato seeds are sown in rich, mineral dense soil this translates into the productivity and longevity of the seeds potential. When infused with these key ingredients, from conception, the seedling then has maximum strength to push through the soil and reach the sunlight. Under the energy of the sun, nourished with the rain and strengthened by the earth – this tomato not only embodies powerful and heightened nutrition, it tastes vibrant and vital. Compare the above tomato seedlings existence to one that is grown, on mass. Cramped into factories designed to ‘mimic’ nature – soil designed to be ‘chemically accurate’ – no natural light, air, rain or influencing elements such as wind to create strong roots or bugs to enhance resilience. Picked prematurely, green, hard and unloved, having had no connection to the natural world. Shipped off to be ‘ripened’ at some point along the way. The latter tomato is simply an example of a wider trend that is happening to our food source globally. As you can probably gather, I am passionate about our foods quality. Quality does not come from mass production. Quality does not come from eating foods that are imported and shipped for months from the point of picking to the point of sale and ingestion. Quality does not come from artificial environments. Quality does not come from chemically enhanced and falsified foods. Quality does not come from foods that have never had sunlight warm their being. If you gift yourself the opportunity to only purchase foods that are truly alive… your body and being will surely sing for you in gratitude. Affirmation – I now make loving choices to nourish myself and I feel my body sing. «As a present to yourself – attempt for two weeks to honour all that is discussed above – feel the effects – not only in your being but in your footprint on the planet. «Borrow a whole food cook book from the library. 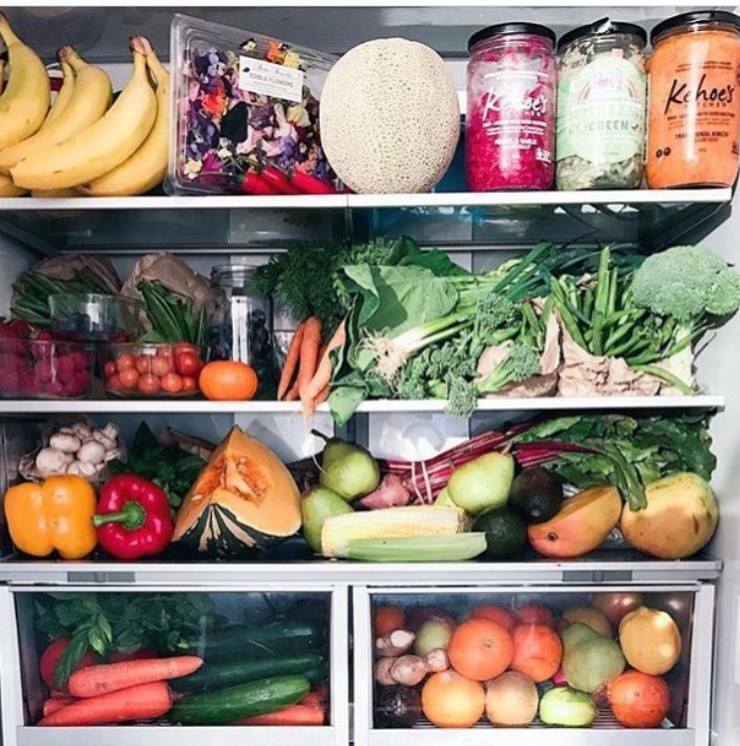 «Ensure your fridge and consequent meal plan is loaded with a rainbow of colours and plants. «Attempt to visit a ‘bulk’ store armed with empty Tupperware to fill with rice / oats / quinoa etc and skip the packaging. This entry was posted in Blog posts on June 17, 2018 by Tory Breheny. ← Movement – a lost art….